Our Company name is V N Impex. We are a manufacturers, wholesalers & exporters of all Kinds of Beads & Jewelry Components from India. Major List of Products which we manufacture and supply include :- Bead Mixes, Glass Beads such as Lampwork Beads, Silver Foil Beads, Wedding Cake Beads, Dotted Beads, Furnace Beads, and many other items in glass beads. We also manufacture Glued Beads, Clay Beads, Horn Beads, Bone Beads, Semiprecious Beads & Chips, Resin Beads, Metal Beads, Ceramic Beads, Soapstone Beads, DIY Sets, Mixed Set Beads, etc. We also supply Beading Accessories like Metal Findings, Beading Cords and Other Items. We are involved in this Business for the past 6 years. 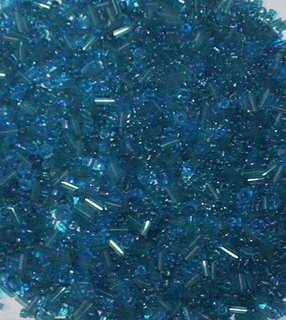 We have considerable expertise in supplying beads and related items to customers worldwide. 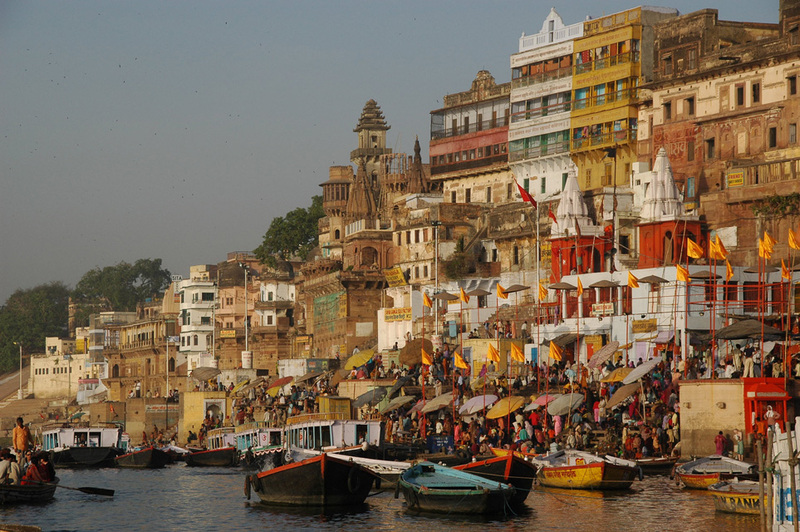 We are based in Varanasi, the holy land of River Ganges. Our City is one of the most oldest cities of the World and thus its mysticism and charm is very unique and spiritual. Varanasi is visited by Tourists from all around the world and is one of the most visited cities in India after metros. 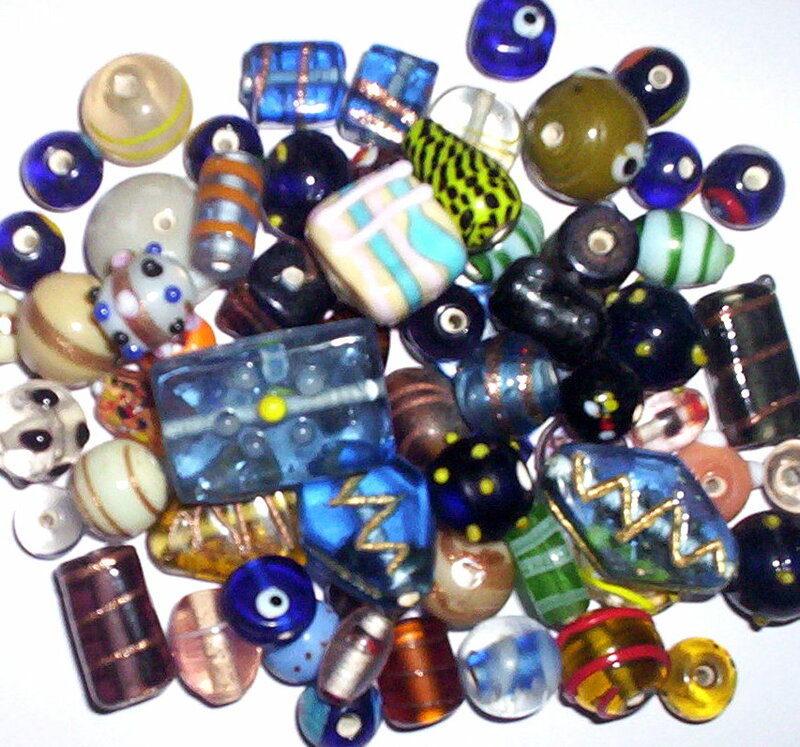 Glass Beads Which we supply are manufactured in the villages around our city. The Skilled Glass Artisans are from these Villages. We supply them Raw Materials like Glass Rods (which is melted to make beads), Sunstone (or Goldstone used to decorate Beads), Silver Foil (used in silver foil beads), etc and then they make the beads and return us the finished product and thus bead industry is primarily a Cottage Industry which in a way promotes the growth of these villages and gives a means of their livelihood. This Website is a Wholesale Business to Business Ordering Center. The Prices, Shipping Charges and all the other information is already provided in this website thus providing all the necessary information to the customer to make the order. The Customers Once registered or after logging into their account can view the prices online. The Prices are Quoted in US Dollars but customer can view them in their currency as per choice from choosing from currency dropdown. Customers can make their order online by adding the items to their shopping cart and making payment by Online or Offline Means of Payment. Samples are available to the prospective customers upon payment of nominal charges. We provide samples free of cost to our prospective customers and only charge for the shipping fees to send the samples. Please note that we will even refund the shipping charges of the samples upon first order from the customer. We also entertain Custom Order Requirement from our Customers. If you are looking for some specific item & do not find the same in our website, please do not hesitate to contact us as we can manufacture or source the item for you. Please contact us at our company email (balaji@vnimpex.com) or through our contact page and we will reply you back in 24 hours time. Please include as much details as you can about the item and if possible, please send the image of the item which you want us to manufacture. We hope to have a successful business relationship with you. If you have any questions please do not hesitate to drop an email to us. We look forward to making new friends through our Business and also want a long term business with our customers. Thanks again for your time and Wish you all success in your venture.